Perhaps you have already stood inside the storied walls of the Colosseum or marveled at the chiseled lines of the statue of David. Maybe you’ve cruised through the most romantic of ancient canals. Even if you’ve experienced the highlights of Rome, Florence and Venice, there’s an entire country of diverse regions, people, traditions and cuisine you haven’t seen, experienced or tasted in Italy. And there is no better way to get to these picturesque towns, with the insight and expertise of local guides and ease of transportation, than on a tour. 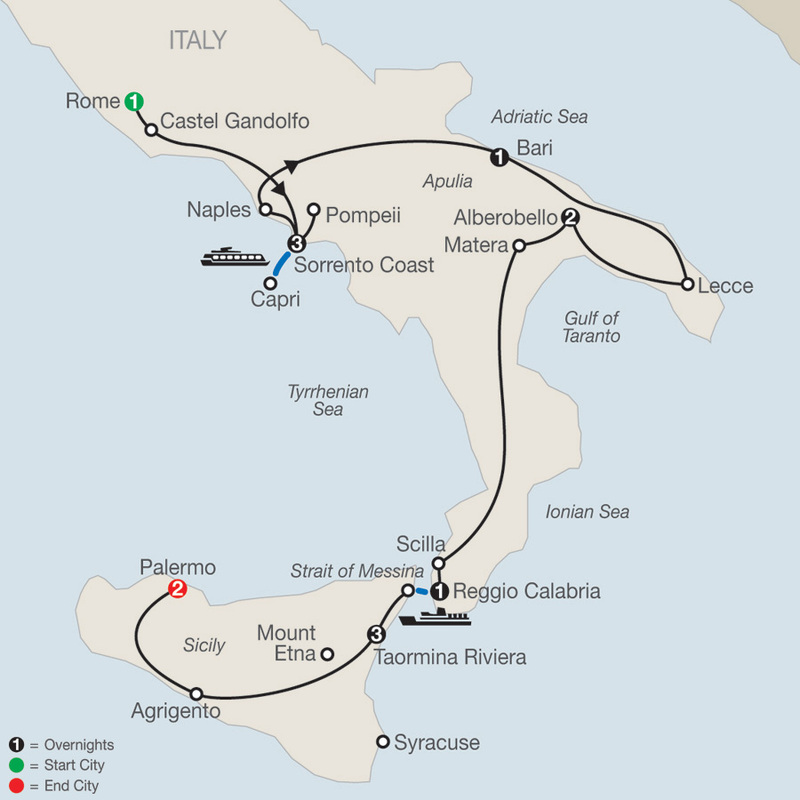 Touring is the best way to rediscover Italy. We invite you to come back to Italy and fall in love again for the first time with these unique off-the-beaten path Italy tours. This 9-day Italy tour “off the beaten path” takes you on a journey to discover world-renowned treasures in art, architecture, and history. You’ll begin in Naples – home to centuries of some of the most important art and architecture Italy has to offer. Throughout your guided ...Read More. The name of this Italy tour—Gems of Umbria & Tuscany—says it all, as you’ll visit some of the medieval hill towns and see some of the beautiful gems that call central Italy home. 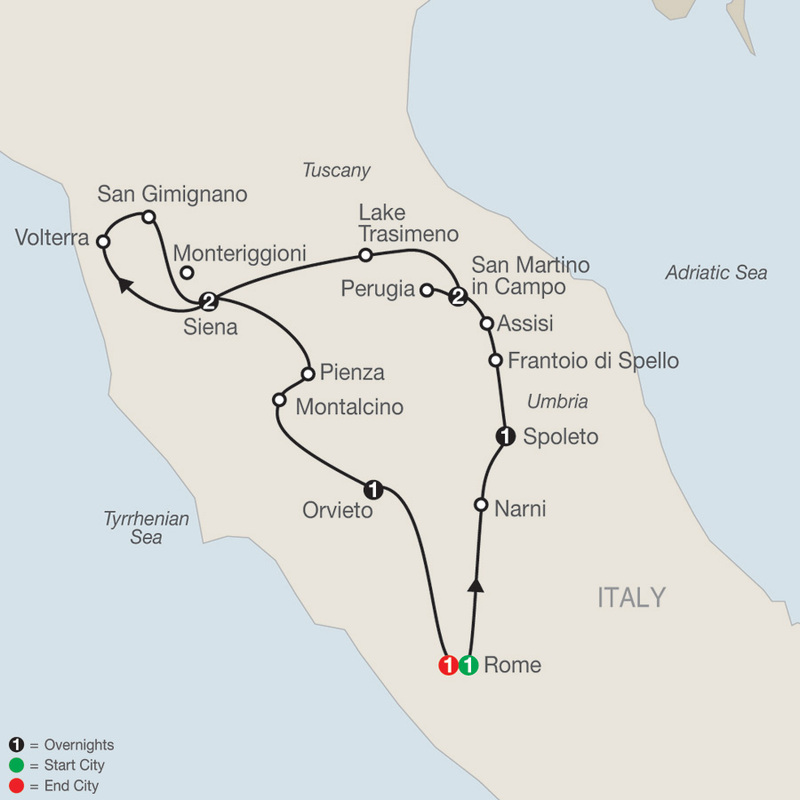 You’ll begin and end in Rome, and in between you’ll overnight in Spoleto, San Martino in Campo, ...Read More. 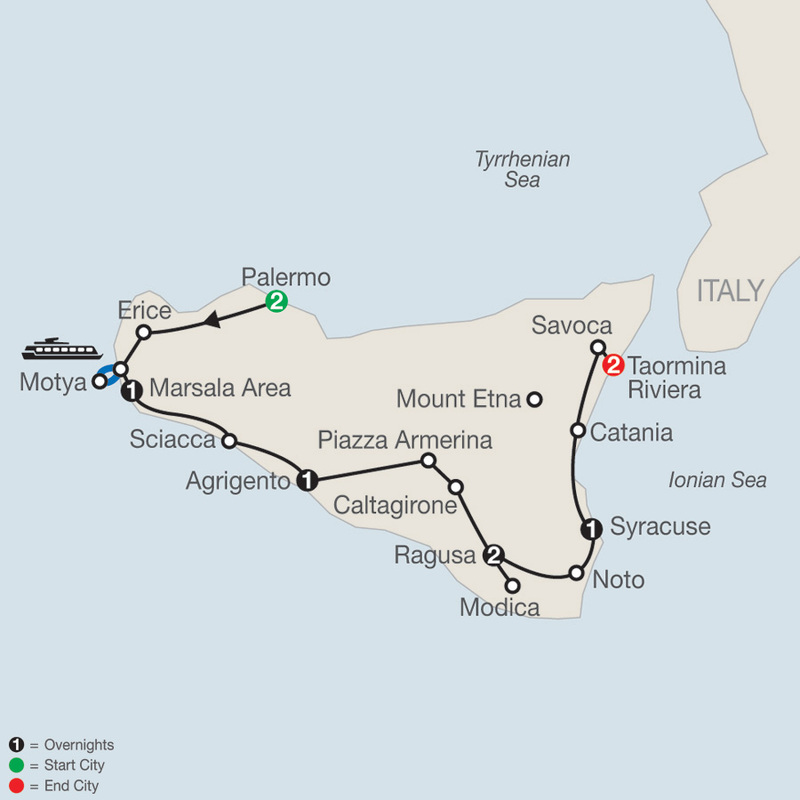 Your 10-day Italy tour of Sicily is packed with architectural treasures that have withstood the ages. You’ll begin your “off the beaten path” tour with guided sightseeing in Palermo’s ornate city of piazzas, markets, and churches. You’ll relish the baroque style of the city’s ...Read More. This is the perfect “off the beaten path” vacation for travelers who want to learn more about the culture, food, and traditions of Northern Italy. 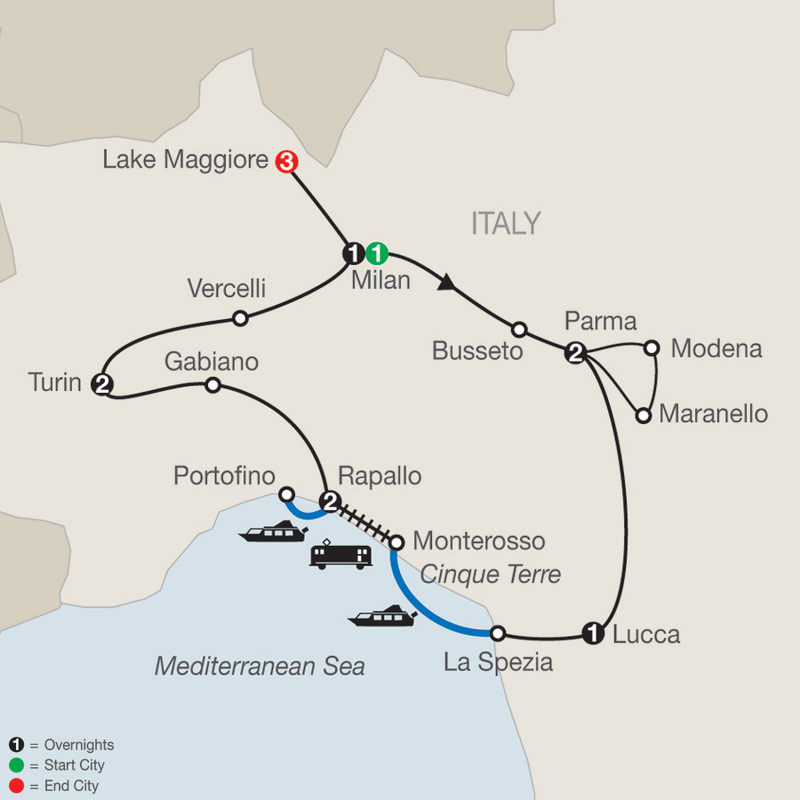 You’ll spend two nights in Milan, Parma, Rapallo, and Turin, and an overnight in Lucca. 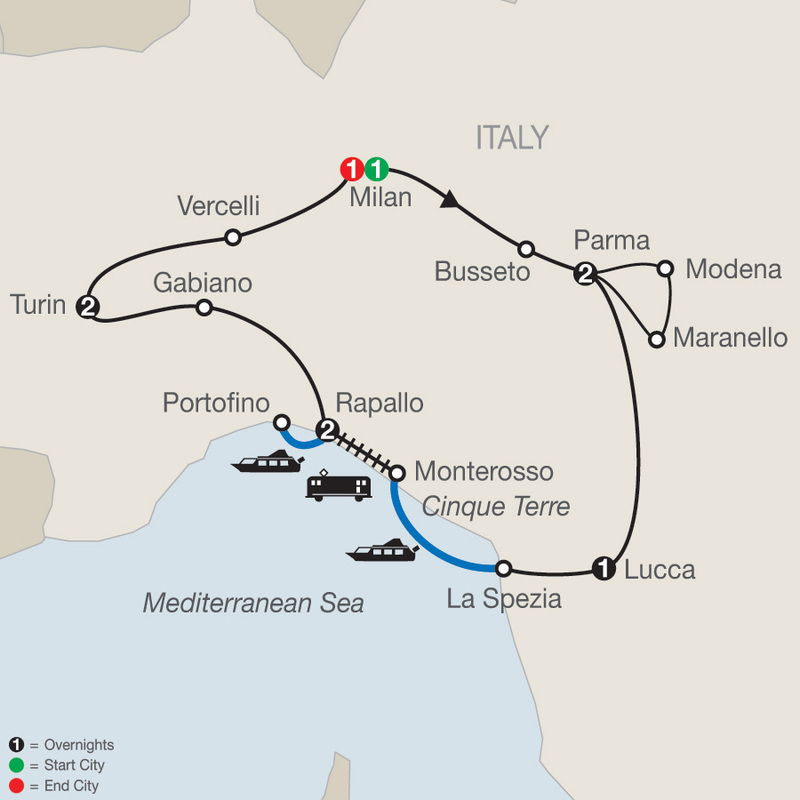 You’ll enjoy guided sightseeing in Milan, ...Read More. 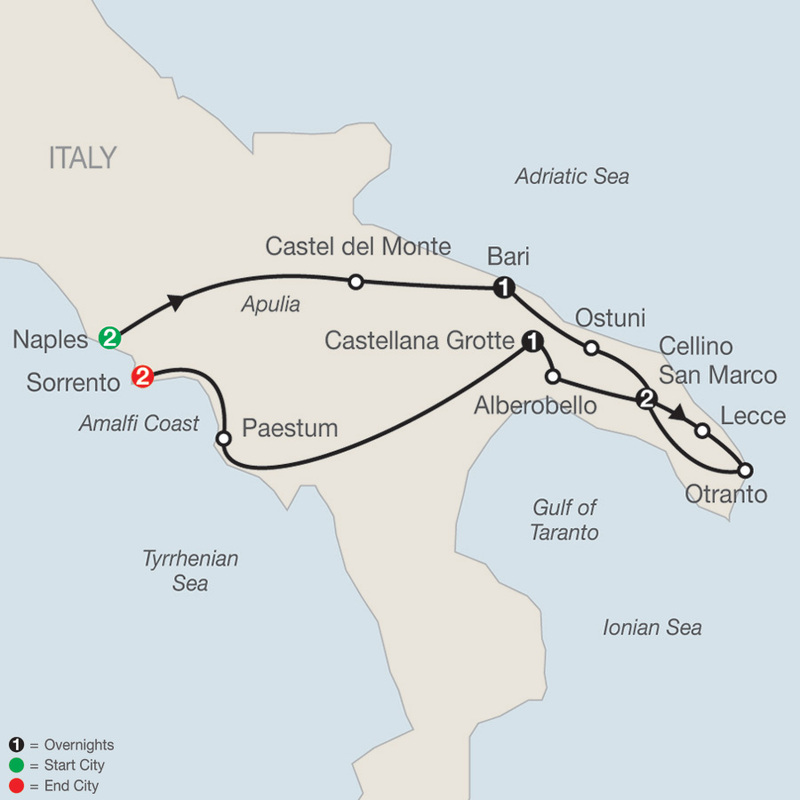 Spectacular scenery combined with fascinating architectural remains and ancient history—all of this awaits you on this fabulous “off the beaten path” vacation through Southern Italy and Sicily. If you’re interested in Roman history, this tour is certainly for you. You’ll stop in ...Read More.